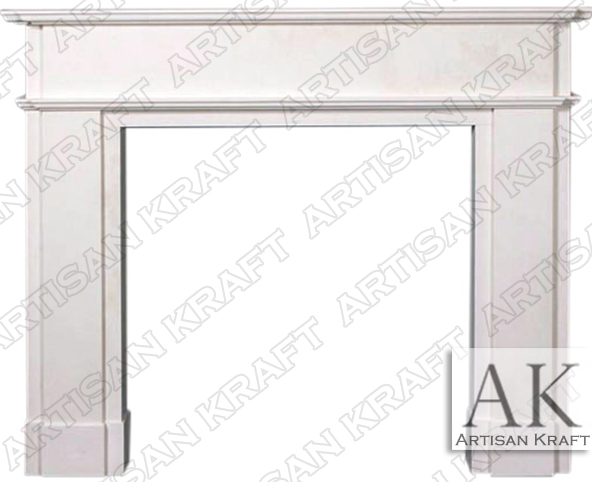 Contemporary fireplace mantel available for immediate delivery in white marble. A traditionally designed contemporary fireplace surround fit for modern and transitional decor. A simple straight line design with steps and trim throughout. The hearth and the inner panels come with this surround and are also made from the same white marble. You can also order this in other stones. Cast stone would offer the quickest delivery.